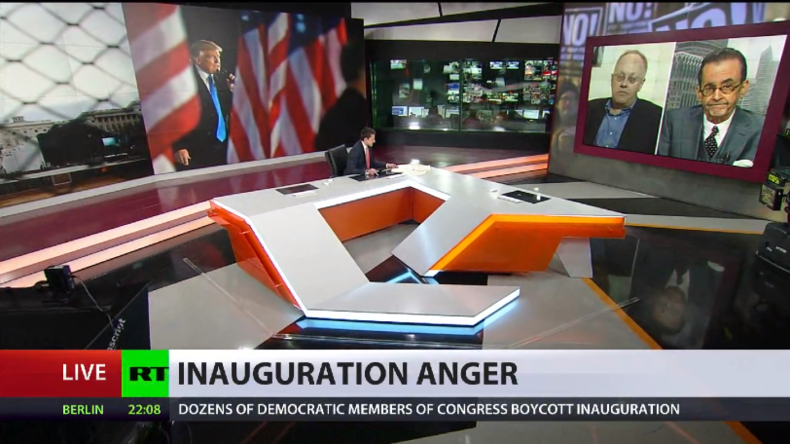 While for media elites, Trump’s inauguration speech was “pedestrian” and “base,” many people heard what they wanted to hear and loved it, analysts told RT, adding that the speech was a declaration of war against the establishment. As Donald Trump was sworn in as the President of the United States, thousands rallied on the streets of Washington, DC against his inauguration. Violent clashes were reported between demonstrators and police. A number of demonstrators were seen wearing bandanas and masks to hide their identity. Rocks and bottles were thrown at police, and a number of local businesses had their windows broken amid the unrest. “There is a lot of anger out there and a lot of frustration. And the factions were pretty vitriolic on both sides in the campaign which is unusual,” said Ron Paul, chairman and founder of the Ron Paul Institute. “The left wing, the big government people are so hysterical because they were convinced they are going to win the election and it didn’t happen that way. They are losers, so they are striking out,” he told RT. Asked about what role the media has had in encouraging the division in the US, Ron Paul said that “it has polarized” the nation. He went on to say, however, that it’s not that a lot has changed, but rather it was revealed to the public that the government has too much influence on the media. “People have given up on the media and they have given up on automatically believing everything the government tells them, too. I think this is healthy,” Paul said. Legal and media analyst Lionel noted that there were protests in the past, including in the 1920s, during the Warren Harding administration. 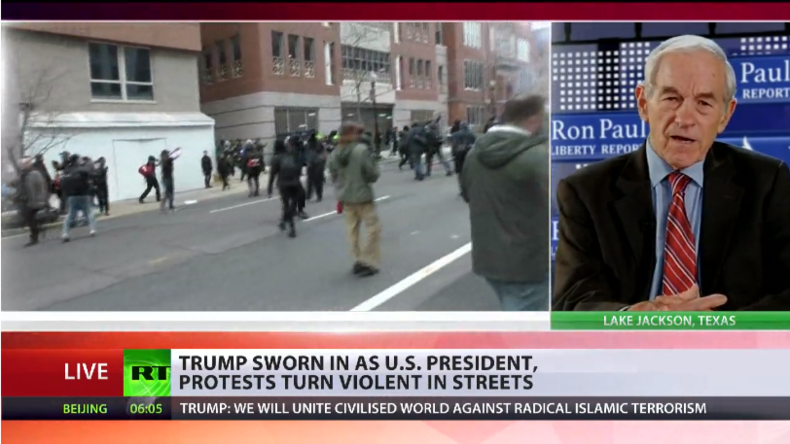 However, those protests were “focused,” while the anti-Trump rallies were “incoherent,” he told RT. “But overseen is one of the most diluted inaugurals... It was really tepid in terms of the crowd response,” Lionel said. 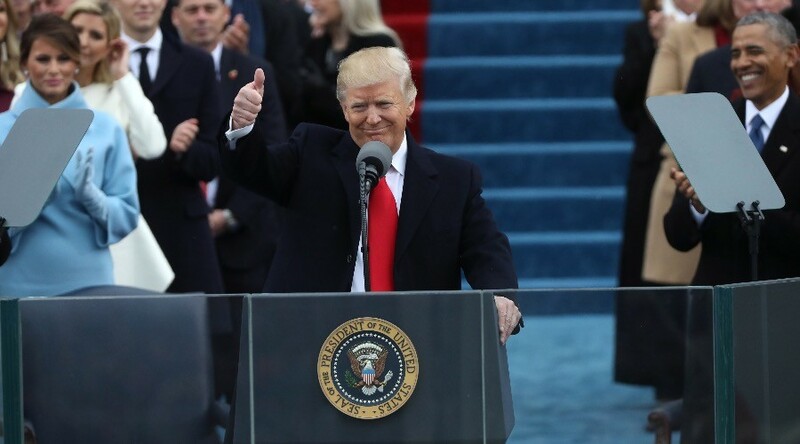 “The actual address was so unique because it was a campaign speech versus this lofty directive and call to arms... that usual lofty stentorian type of speaking style... Trump basically stuck it to Washington insiders, in Washington, among insiders. It was very different on many levels,” Lionel added. Trump mentioned aspects – such as crime, safety, family, jobs – that analysts might consider “pedestrian, base, meat & potatoes, usual rhetoric”, Lionel said. “To a lot of people, that’s precisely what they wanted to hear, that’s precisely why they voted for him,” he added. “Trump was not even gracious enough to acknowledge their presence. It played to the partisanship, divisions and the anger that he has been stoking throughout the campaign and since his election,” he added. “In many ways it was a kind of war cry and call to arms in this battle that created a deep division within the American public,” he argued. “These were the broad directions [Trump] wants to go: we are going to worry about our borders more than other countries’ borders, we are not going to tell other people how to live, we are going to put our interests first, assume other countries will do the same, that doesn’t mean we wish them ill, it means we have to talk to them…” he said. “I think he wanted to give a speech of unity of American people and good will to the rest of the world without going down through this and that," Jatras added.